SS Series Stainless Steel Castors with a Phenolic Resin Wheel are the most popular heat resistant stainless steel castors for use in ovens, kilns and freezers and can withstand extremes from -40°C up to +280°C. The temperature resistant wheel is durable and hardwearing, available in five sizes and the top plate attachment makes these stainless steel castors easy to fit. 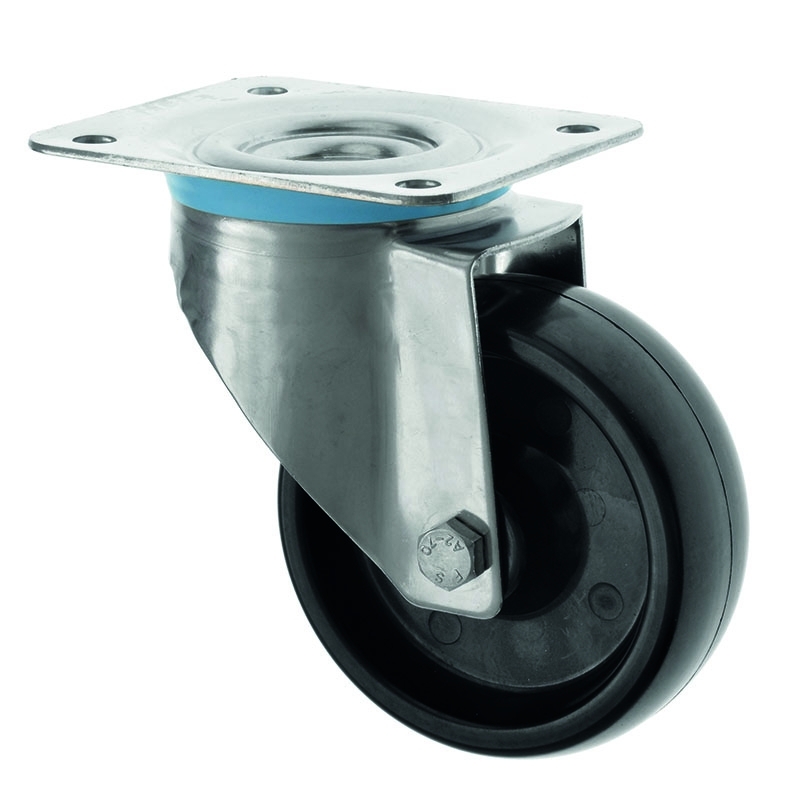 These stainless steel castors can be supplied either as swivel castors, fixed castors or with brakes.